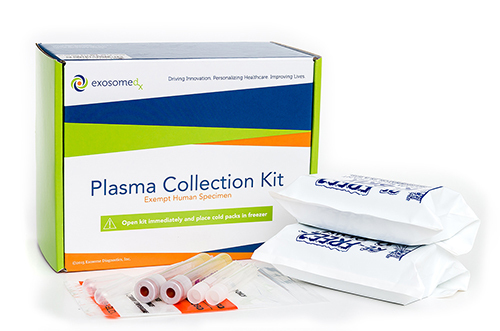 The ExoDx™ Lung(ALK), is the first liquid biopsy test designed to isolate and analyze exosomal RNA (exoRNA) from a blood sample. ExoDx Lung(ALK) is a plasma-based diagnostic enabling sensitive, accurate, and real-time detection of EML4-ALK mutations in patients with non-small cell lung cancer (NSCLC). The assay’s platform for the isolation of RNA from exosomes provides a more direct and sensitive method of detecting fusions such as EML4-ALK, compared to cell free DNA (cfDNA) alone. Validation results of the test, comparing tissue ALK status with matched plasma samples in patients who had progressed on a prior ALK inhibitor and prior to receiving a second generation ALK inhibitor, showed sensitivity of 88% and specificity of 100%.